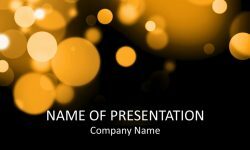 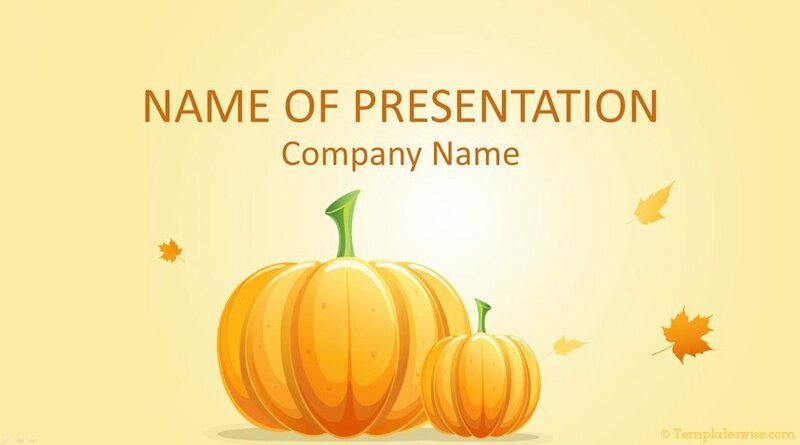 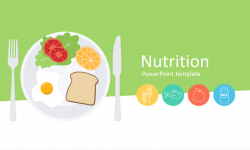 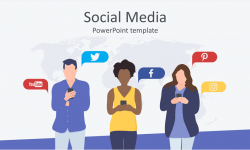 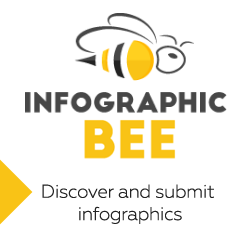 Present your ideas with this stunning pumpkin PowerPoint template. 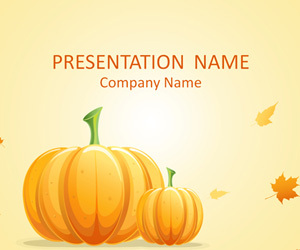 The title slide features an illustration of two pumpkins on a light background with falling leaves. 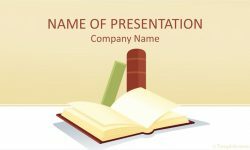 There a lot of space to insert your message on the top of the slide. 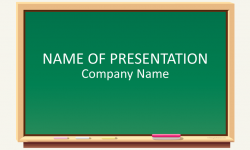 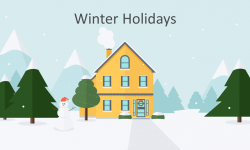 Use this template for presentations related to autumn, Halloween, Thanksgiving, etc.